The Vice President for Student Life and Dean of Students Office and Residential Life Office are jointly responsible for administering the disciplinary records policy and overseeing the management and storage of case files. Release of records to third parties requires the student's knowledge and written consent. For additional information regarding the handling and releasing of records, please refer to "Confidentiality of Student Records." 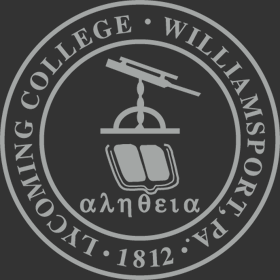 Disciplinary records for enrolled or continuing students are maintained in paper format in the Residential Life Office until the student graduates or separates from Lycoming College. At that time, the paper record is transferred to the Office of the Vice President for Student Life and Dean of Students. Records of deferred suspension will be maintained for a period of 1 year after the student graduates or may be maintained for a longer period of time at the discretion of the Vice President for Student Life and Dean of Students based on the circumstances of the incident. Records of warning, probation or other sanctions will be destroyed upon a student's graduation. The judicial records of a student who has voluntarily withdrawn from the College will be destroyed after two consecutive years of such withdrawal unless the record indicates a prior suspension for which the record will be maintained permanently. Records of investigations of possible policy violations are maintained either by the Vice President for Student Life and Dean of Students or the Residential Life Office. In cases in which students are found not to be responsible, records of the investigation are destroyed at the conclusion of the academic year. A student or alumna/alumnus may request, in writing, that the Vice President for Student Life and Dean of Students eliminate an incident or incidents from his or her disciplinary record. The decision to eliminate a record will be based on the violations(s), the individual's disciplinary history, and evidence of appropriate behavior since the violation occurred. Expulsion or dismissal may not be eliminated from a disciplinary record.